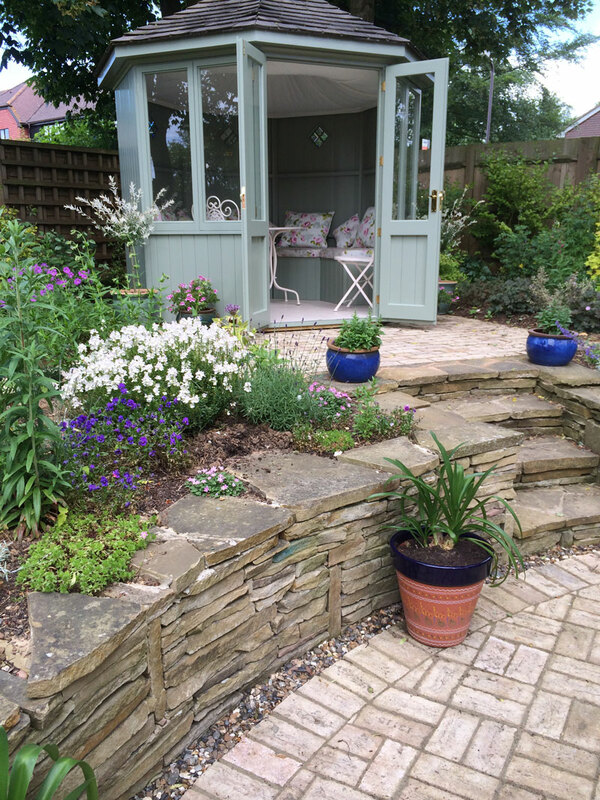 This rear garden design in Lenham, Kent has recently been finished (June 2014) and is looking perfect and ready for the summer. 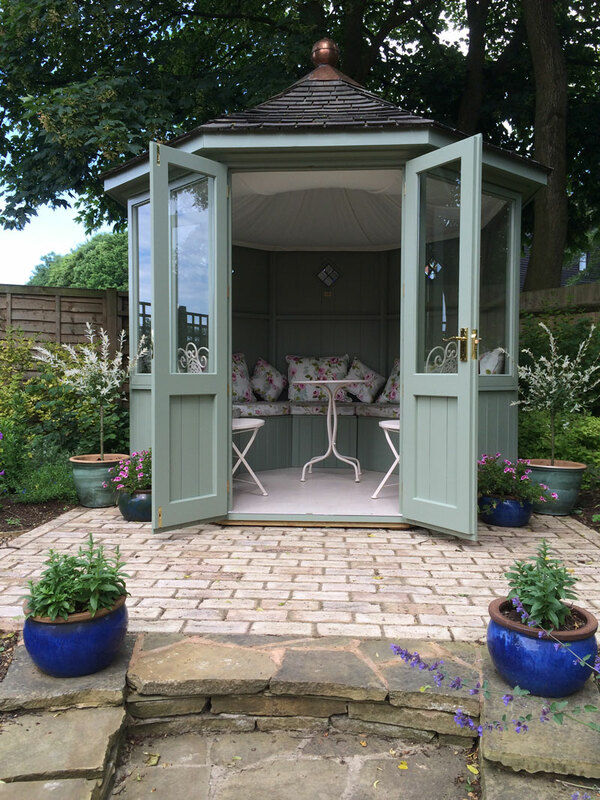 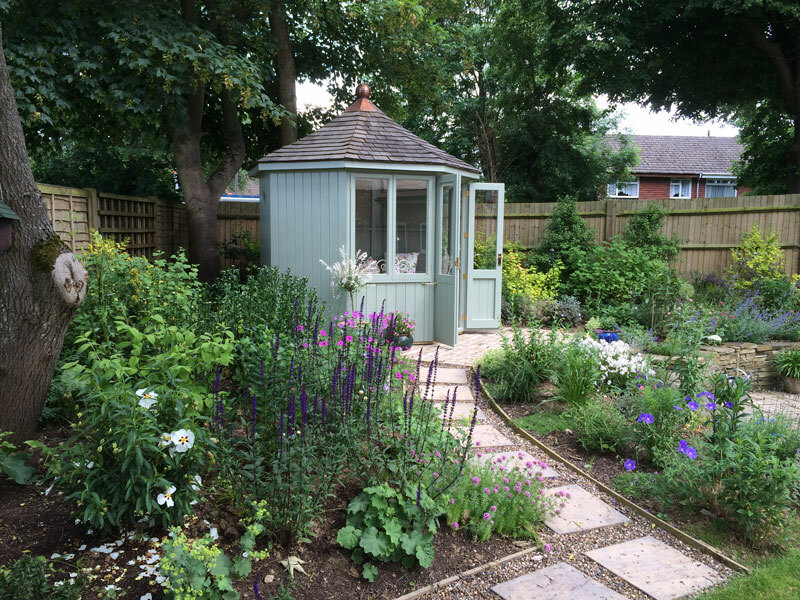 The design incorporated some feature stone walls along with brick paving leading up some small steps to a delightful hexagonal summerhouse. 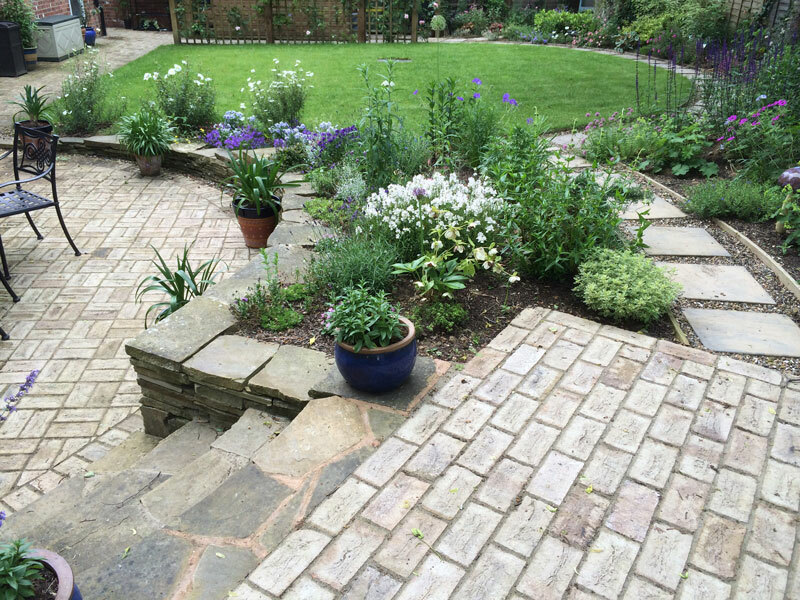 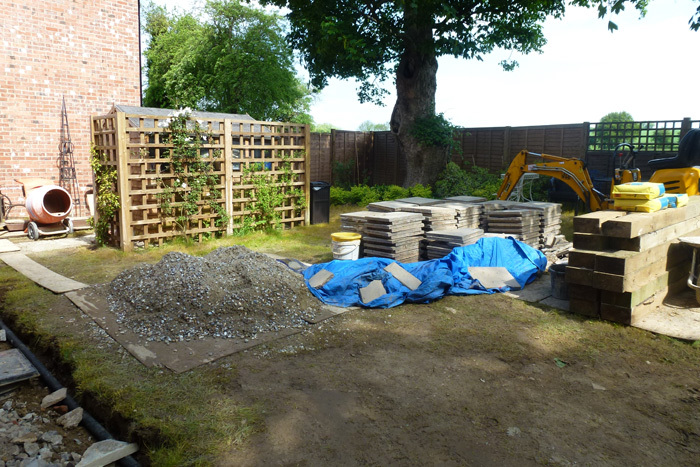 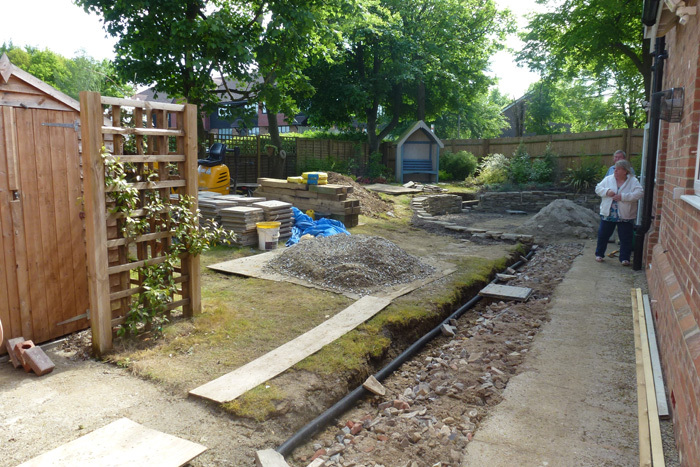 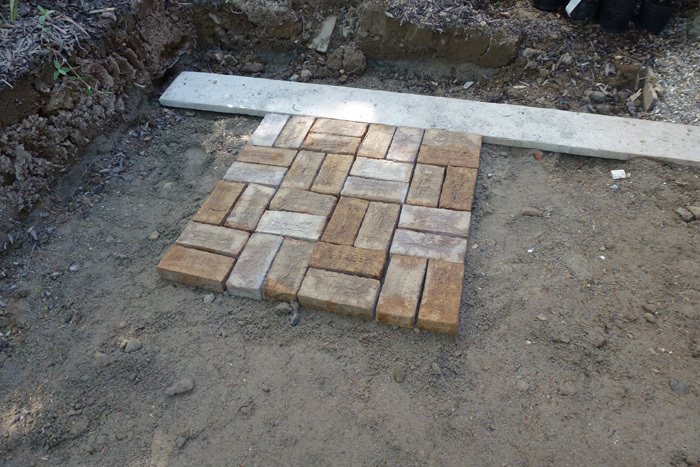 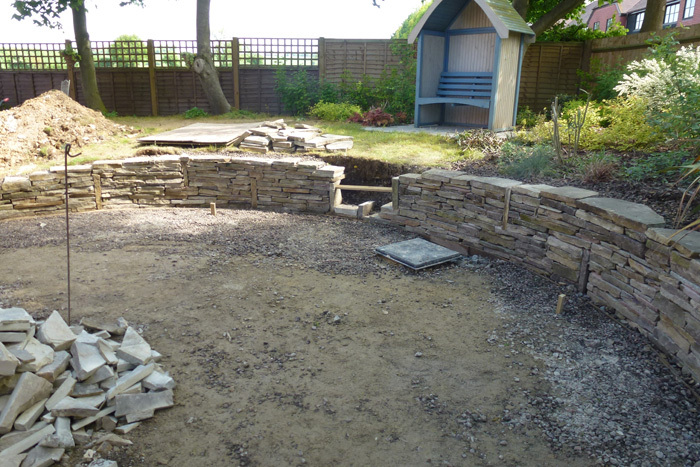 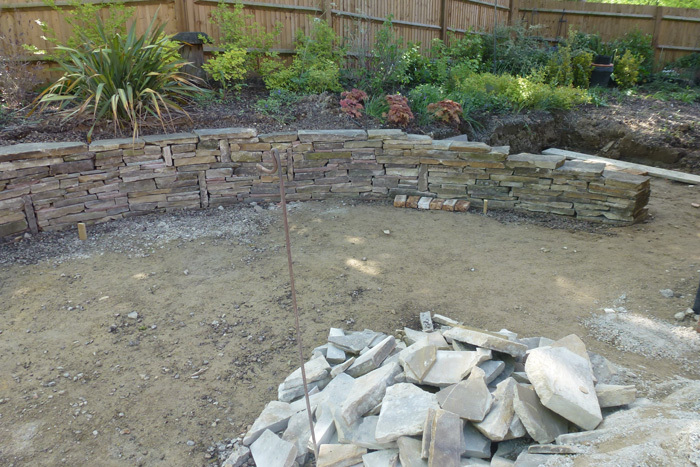 We also put in some paving around the garden border as well as trellises for some climbing plants to thrive on. 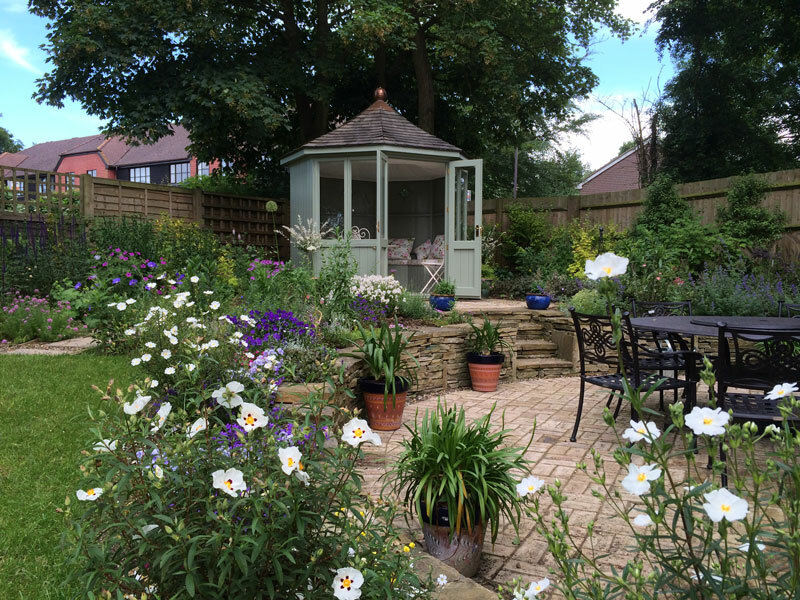 The client was exceptionally happy with the results and has been making the most of their garden with the excellent weather we have seen lately.